Have you resolved to step up your digital marketing game this 2019? You are not alone. The New Year offers every business an opportunity to keep up with advertising trends and launch fresh campaigns. In this digital age, it can be difficult to stay on top of what’s new in the digital marketing world. This is especially the case when it comes to Search Engine Optimization (SEO). Search engines are constantly rolling out new ranking factors that force marketers to change their strategies. You don’t have to be a tech or marketing guru, however, to keep pace with the world of digital marketing. 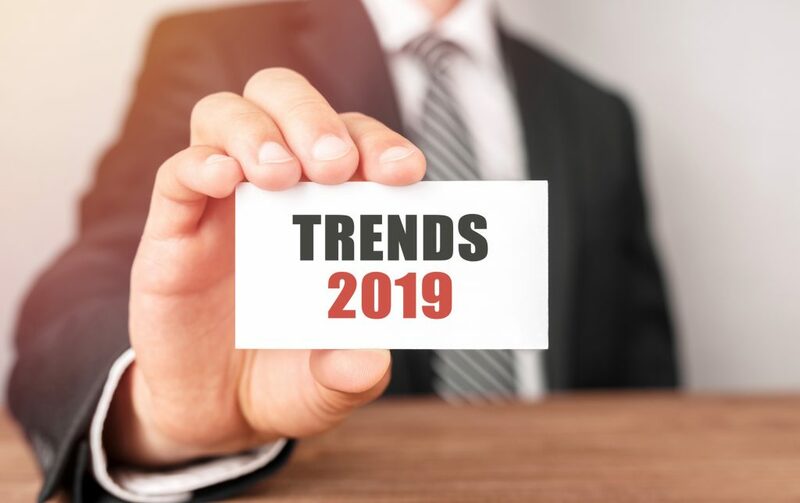 In this post, we discuss the key digital advertising trends you should be aware of in 2019. Read on for insight! AI has been on the horizon for quite some time. What makes it new in 2019? For one thing, AI technology in the marketing sphere is maturing. AI is quickly becoming “actually intelligent,” enabling marketers to automate more of their efforts. Chatbots are dominating the AI landscape when it comes to digital advertising. Chatbots were popular in 2018, but now that they are becoming more advanced, they are becoming an asset for marketers. These helpful little bots can field a wide range of customer service questions once visitors navigate to your site. They can also give marketers the ultimate gem: data. Being able to interact with your customers in real-time boosts their odds of conversion. It also demonstrates authority, something your customers value. Plus, you’ll be able to get essential data from these AI interactions with your visitors. Such customer insight can help you hone your marketing game and change your tactics as needed. To keep up with this advertising trend, consider implementing a chatbot on your website. You can easily create your own chatbot at little to no cost, too! Over 77% of American adults have a smartphone. This means that a large portion of your site traffic likely comes from mobile devices. 2018 saw a huge emphasis on mobile-first marketing for this reason. After all, if you aren’t catering to your mobile audience, you’re missing out on an enormous market. However, 2019 is all about mobile advertising. Google has announced recently that it is rolling out mobile-first indexing. This means that it will be looking at the mobile version of sites when assigning content rankings. If your site isn’t meeting its mobile-friendly standards, your rankings could suffer. Mobile-first marketing will involve campaigns crafted entirely for mobile users. Advertisers will need to ensure the mobile versions of their sites are up to par. Business automation can limit inefficiency, saving companies thousands and millions of dollars each year. When it comes to marketing, automation is just as important. Automated marketing will be all the more urgent this year. This is precisely because automated marketing campaigns can get things done faster, and often with better results. Automated email marketing campaigns, for example, can guide site visitors through a conversion funnel without business owners having to lift a finger after launch. Such campaigns send out customized emails at key trigger points, ensuring that leads become conversions as quickly and effectively as possible. It’s not just email marketing that will experience automation. Automated marketing is surfacing across channels and platforms, including social media. The added benefit of automated marketing is that such campaigns quickly generate insights. Being able to analyze data in real-time can be valuable for marketers busy managing multiple campaigns. Video content has always been popular. It’s not losing its popularity in 2019. If anything, it’s gaining traction. Marketers will still experience success with video tools like Facebook Live, Instagram stories, and embedded multimedia. But most importantly, multimedia ads are trending. Such ads incorporate different media forms to maximize customer engagement. They hinge on professional, innovative video experience to drive conversions. Where do these ads appear? Most commonly, they will appear in news feeds of social media platforms. But they can also appear in between videos on YouTube and even on websites themselves. Yes, voice searches are a thing. They’ll be even more of a thing by the end of this year. Voice search technology gives users a convenient and hands-free means of searching for information. People will still type terms into Google, but these individuals are set to become a minority in the coming years. This may seem like a negative trend for marketers, especially SEO advertisers. After all, what will happen to all of those keywords? Nothing, really. Proper keyword usage will simply be all the more important. SEO marketers will have to be very cautious that they are effectively tagging images and content to align with voice search demands. With the rise of “fake news,” consumers are getting pickier about ad content. They are less likely to trust brands at the outset. For this reason, brand safety is one of the most important digital advertising trends for the year. How will marketers implement this trend? Some may take advantage of encryption technology to ensure safe delivery of ad content to consumers. The same goes for machine-learning and other AI tools designed to fight ad fraud. Others may emphasize values of transparency in ad content itself. Personalized, frank content will likely be more successful in the long run. Read this post from EraserFarm to learn more. To succeed in the world of marketing, it’s important to know this industry’s trends. The digital advertising trends in this post may not feel entirely new. But they signify the evolving needs of consumers. These needs point to more voice-based searching and transparent, fraud-free advertising. They also prioritize video content, indicating a huge push for multimedia ads across many platforms. AI will stay on the scene, ensuring seamless customer service interactions via chatbots and automated marketing schemes. Google’s mobile-first indexing will urge marketers towards even more mobile-friendly advertising. Looking for more digital advertising tips? Check out this post on SEO hacks designed to grow your business.